Ron ran with full speed into the Malfoy manor and banged his hand on the door. " Hermione! Open up!" The door opened up and he met Lucius. " Mr Weasley? What&apos;s the meaning...?" " Sorry sir but I have to talk to Hermione. It&apos;s urgent, please move" Without waiting for an answer Ron passed through Lucius and had his wand at the ready.
" Hermione? Hermione!" He met Narcissa out in the living room and she just stares at him. " Weasley? What are you...?" " Where is Hermione? There&apos;s no time to explain, I have to protect her. He&apos;s coming"
But Ron didn&apos;t care to answer, he hurried to Hermione&apos;s room and kicked in the door. Hermione sat on her bed and looked at Ron.
" Hermione don&apos;t say anything, we have to.."
" Going somewhere?" He turned around and saw the pale boy who stared at them. His eyes were grey and cold. 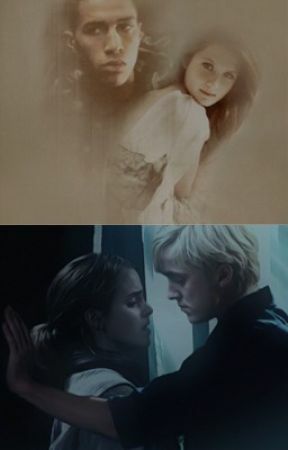 Ron took Hermione in his arms and was about to disarm Draco but he was faster.
" Expelliarmus!" Ron&apos;s wand was gone and all he had left was the brunette in his arms.
" What are you doing Draco?!" Hermione yelled when she saw that the love of her life was pointing his wand at them.
" You chose him, didn&apos;t you?" Draco said with a shaky voice. " 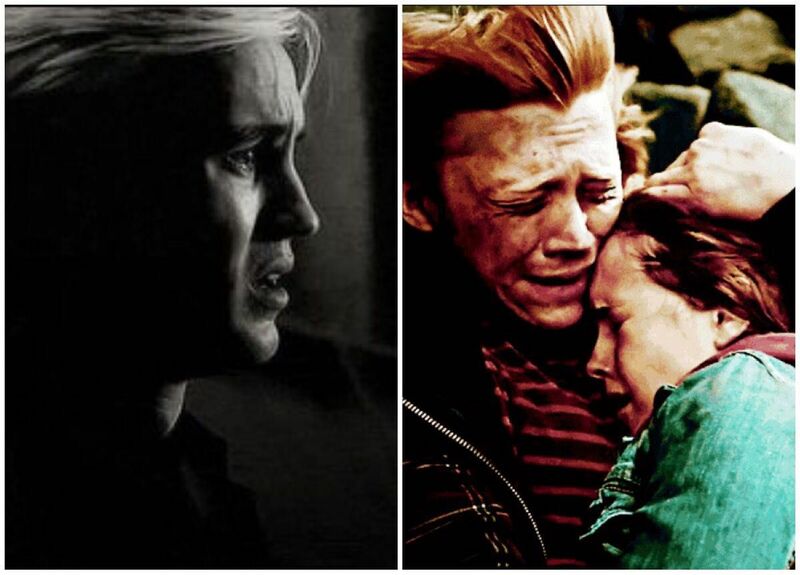 The weasel was your first true Love and will always be"
" No Draco stop! You don&apos;t know what you&apos;re saying" Hermione argued. " Ih Shut up!" Draco yelled.
" This is the only way. I&apos;m sorry Hermione "
Ron pulled Hermione as close as he could, his tears fell down in her hair and she cried even harder.
" HERMIONE!" Draco woke up in the middle of the night full of sweat and tears. This was the third nightmare he&apos;d had in a row now. He missed her so much. But his thoughts was messing with him, a part of him was still afraid that she would give up on him and leave him. But the stronger part of him, told him that she would never do that to him. He hoped it was true. He couldn&apos;t wait until he felt her skin against his, her eyes locked with his, her mouth on his. But that wouldn&apos;t happen.